If you decided to start a blog on WordPress, the theme selection comes next. Online marketplaces carry thousands of free as well as premium themes for any kind of website. Find a theme of your choice, test, and know how it works for you. If satisfied, continue using it. Otherwise, switch to another. As a beginner, it’s better to start with a free WordPress theme on your blog. It will give you a brief idea about theme settings, website management, and monetization tools. Most of the theme developers offer a free version of their premium themes with limited settings. It helps you to test the theme before originally purchasing it. A free WordPress theme will have several limitations. Know The 10 Reasons Why Should You Go for Premium Themes in WordPress. 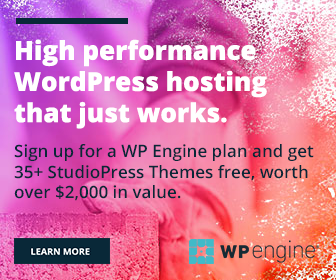 But a premium theme may not be affordable for you before started money making blogging. So you need to use a free theme until money comes into your hand. This post shows the 15 best free WordPress themes for your website or blog. Feel free to update us with your favorite free WordPress theme through the comment form below. We are glad to expand the list by adding new interesting themes. 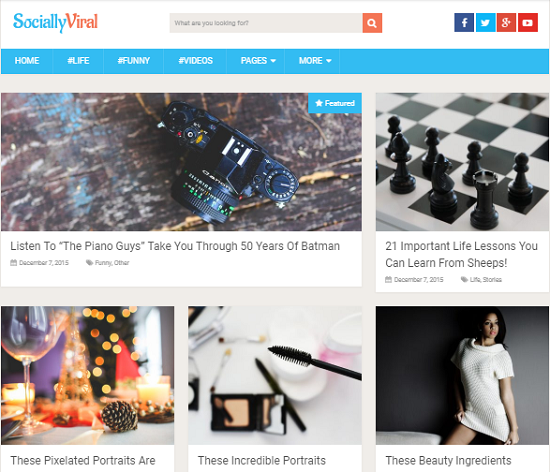 Socially Viral is a free responsive theme for your WordPress blog. It is stunning, super fast which is designed to increase your social shares and traffic. Its SEO and mobile-friendly capabilities help you improve the search engine rankings and reduce the bounce rate. 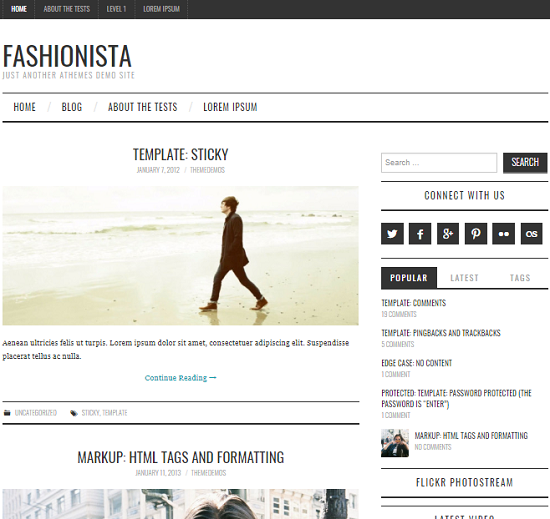 Fashionista is one of my favorite free WordPress themes. I used it in a blog for a long time. It is an ultra-responsive and gorgeous theme that gives a premium look to your website. You can upload own logo, change fonts and preview changes with the live customizer option. AThemes provides frequent updates and timely support even to the free users. So you can contact them anytime for theme assistance and guidance. 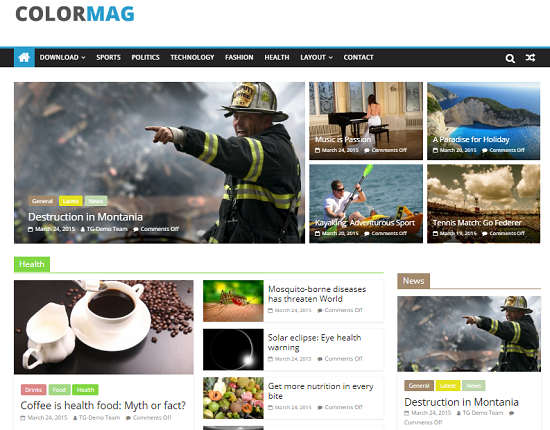 Color Mag is a free WordPress theme with high-quality. It’s perfect for news websites and food, fashion, technology blogs. It contains 4 layouts to choose from. Color Mag is beautifully designed and comes with 15 widget areas and 6 custom widgets to engage your readers and display ads. It is mobile-optimized, search engine friendly, and gives you total control over the website management. 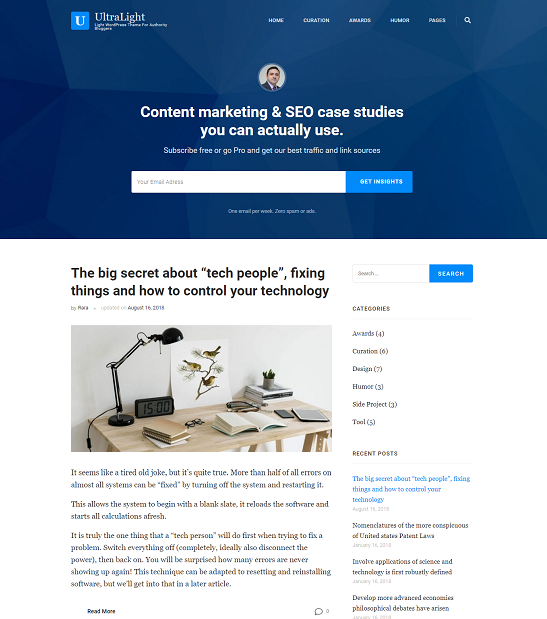 The Ultralight is a simple, clean theme for WordPress blogs. I am impressed with the quality of the theme and it’s a lightweight theme which can bring massive clicks from all your traffic sources. Ultralight is designed in such a way to boost conversations and convert casual visitors to your regular readers. 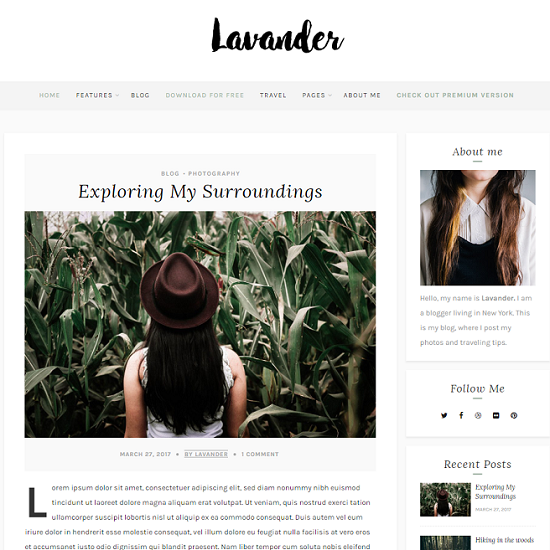 Lavander Lite is a free WordPress theme for lifestyle blogs and magazines. It has a clean look, minimal design to meet the expectations of the new-generation internet users. The theme is professionally designed which work smoothly on all devices you have. 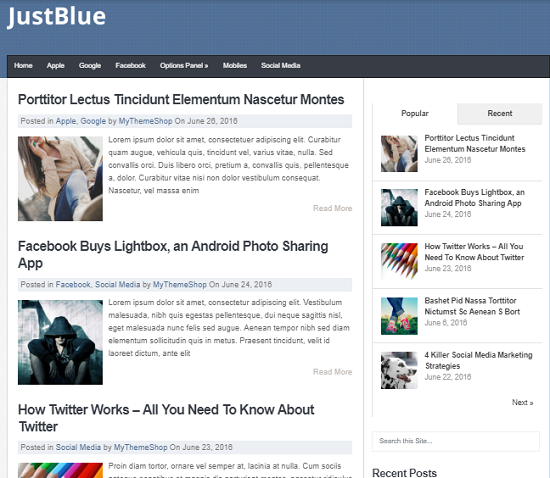 Just Blue is another free premium WordPress theme from MyThemeShop. It is lightweight and best fit for the beginners. It is responsive, SEO optimized and comes with several options to control the appearance of your blog. Being customizable, you can change the background color, image and add custom widgets to connect your readers to other posts, social media, etc. Great Mag is a magazine style, responsive theme for WordPress. It is free and contains several tools to create an awesome site for any purpose. The theme has 4 layouts and unlimited color options to choose from. It gives you full control over the designing process and lets you customize the fonts, colors as you want. 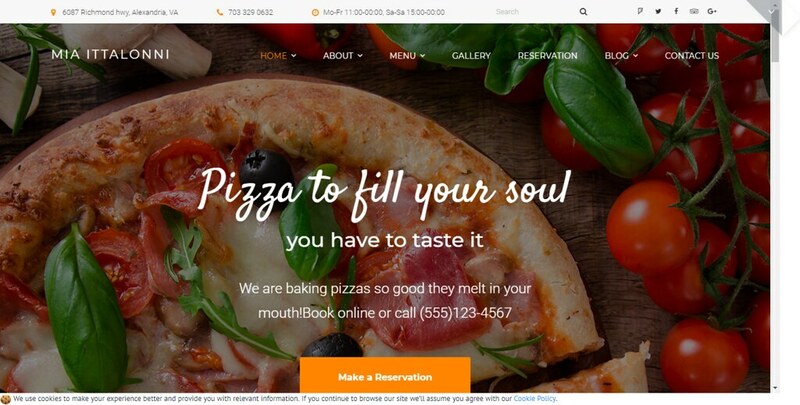 Mia Ittaloni is a free WordPress theme for restaurants and other websites dealing with foods or drinks. It is a well-crafted theme that comes with drag and drop builder and stunning layouts to quickly reorder the products and manage the online business. It is integrated with a number of essential restaurant plugins to accept orders, process payments and optimize pages for diverting organic traffic. When searching for free WordPress themes, you will see Gadgetry in many places. It is efficiently mixed clean and modern theme styles to provide a friendly user experience in your website or blog. The theme allows you to customize each and every part of the site with a wide range of settings and easy to use tools. 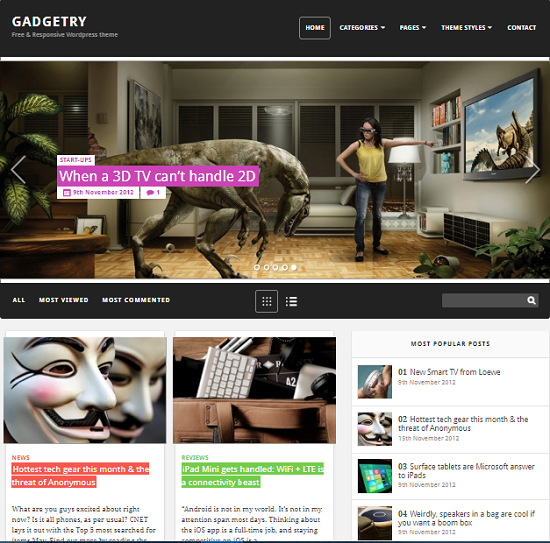 Gadgetry is optimized for search engines, devices, and the perfect theme to start with. 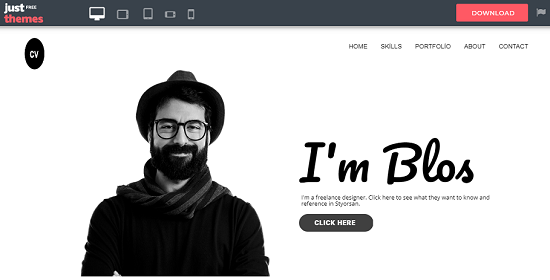 Blos is a free WordPress theme for portfolio websites. It is clean, fully responsive and optimized for lightning speed. You can use Blos to share creative works, upload CV, and others. 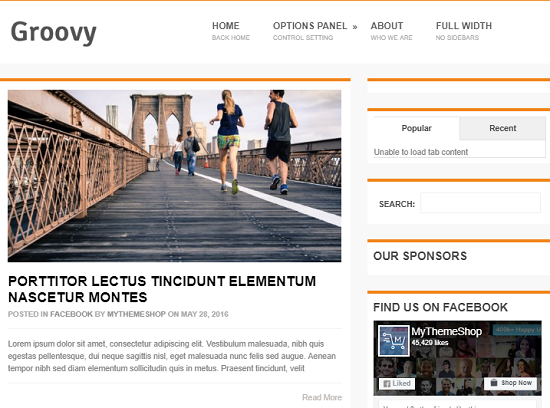 Groovy is a simple, magazine theme for bloggers to maximize their page views and visits. It is lightning fast and offers unlimited color schemes to beautify your website. Being clean and responsive, Groovy is the best choice to start a blog and deliver a user-friendly experience to your blog visitors. 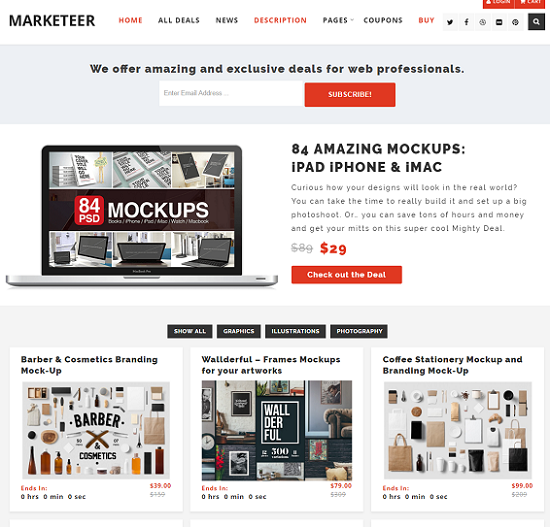 Marketeer is best free WordPress theme for e-commerce websites. It is made specifically for selling digital products like fonts, e-books, movies, music, and other graphic designing kits. It will showcase items in an attractive layout along with the price, offers, and deal period. Thus it will improve the user clicks, engagements, and boost sales. News Anchor is a free WordPress theme for news websites. It is a powerful choice as it comes with customizable widgets, page templates, color options, and support to more than 700 Google Fonts. The theme is easy to use and allows you to manage your magazine style site like a professional designer. 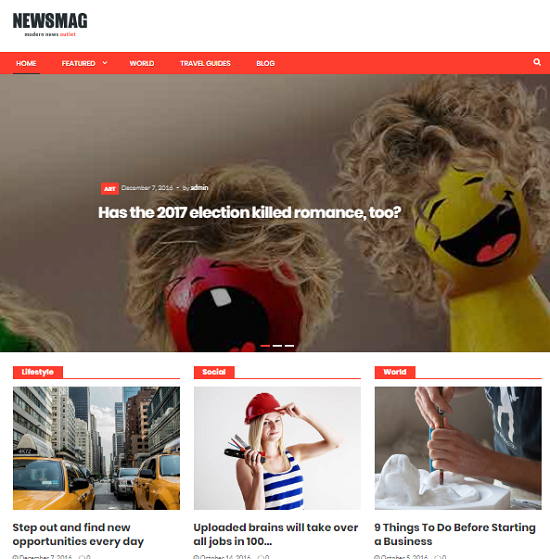 News Mag Lite is a free, high-resolution theme for WordPress websites. It will help you to create attractive visual contents to impress your visitors and encourage them to click on the links. 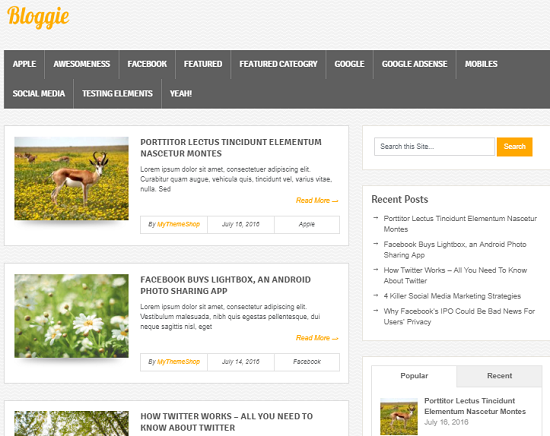 Bloggie is a popular free WordPress theme for the bloggers in the beginning stage. It is easy to use, fast, and responsive theme that provides unlimited color schemes to design the blog as you like. The theme is customizable and provides quick ad management options to display advertisements and make money from them.